The all-new Camaro gets three different available engines under its hood. 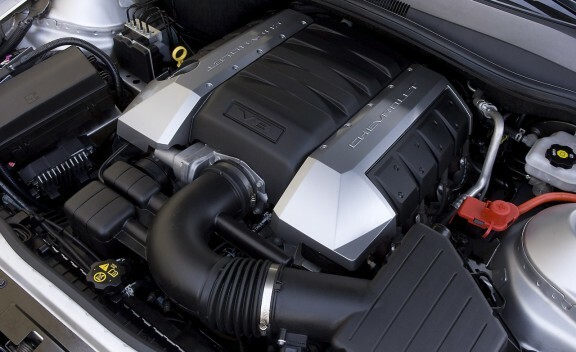 On LS and LT models a 300-horsepower 3.6-liter, direct-injected V-6 is standard. This engine can be paired with either a six-speed manual transmission or an optional six-speed automatic with TapShift manual control. 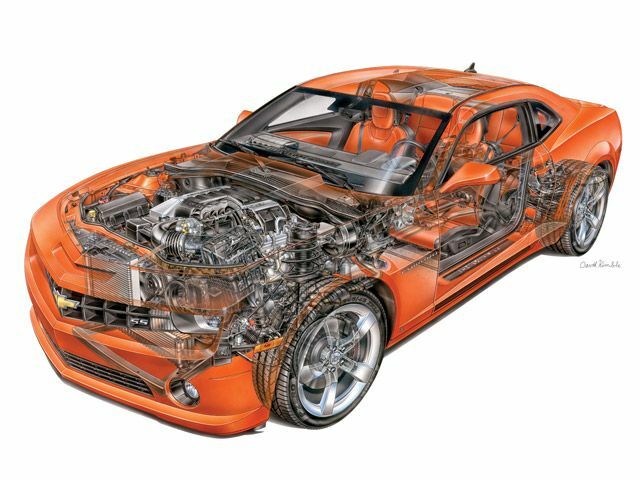 On SS models, there’s a high-output LS3 engine available. It’s a 6.2-liter V-8 making 422 horsepower and 408 pound-feet of torque. 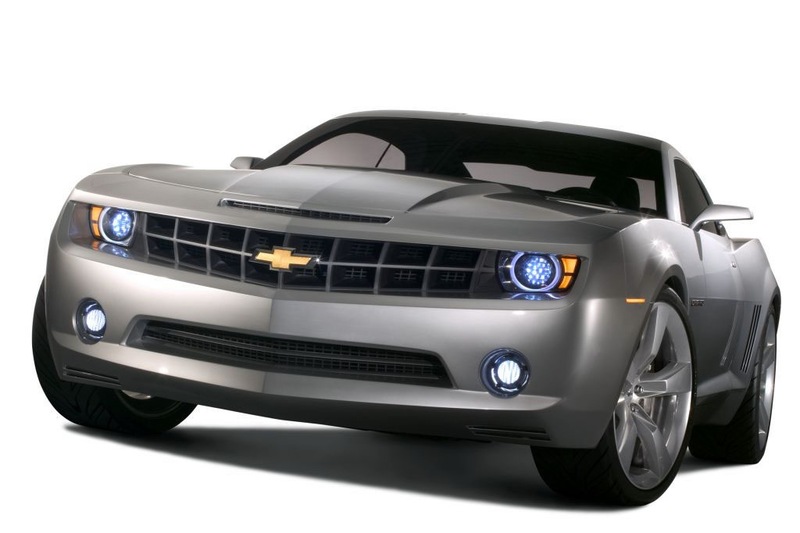 SS models equipped with the six-speed automatic transmission get a lower-output 400-horsepower L99 6.2L engine. All models have a very rigid chassis with a four-wheel independent suspension design, including struts and double ball joints in front and double-isolated, ?4.5-link’ design in back. The FE2 suspension in V-6 models is performance-oriented but also yields a little bit more in ride comfort. V-8 models get a more stiffly tuned FE3 performance suspension. Variable-rate rack-and-pinion power steering has been designed for a direct feel, and all models receive four-wheel anti-lock disc brakes. 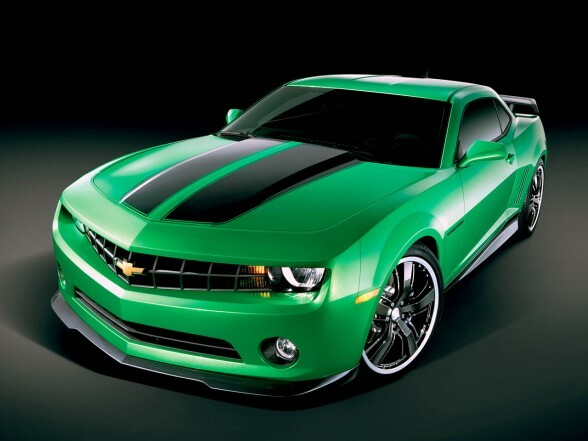 The Camaro’s retro exterior styling speaks for itself-especially with the addition of optional 18-, 19-, and 20-inch wheels-but inside it offers a unique mix of retro styling with modern materials and top-tech conveniences. The “heritage” interior design incorporates deep-dish retro-styled gauges, for instance, but LED light-pipe lighting bathes the interior in the glow of a modern luxury coupe. The base LT stands its own, with an extensive list of standard features, to be offered at an affordable base price. It includes keyless entry, power accessories, cruise control, air conditioning and a six-speaker CD sound system with XM Satellite Radio. LT models add sport seats, fog lamps and flashier painted aluminum wheels. With the 2LT package they get a Boston Acoustics speaker system and a Bluetooth hands-free interface is available. The SS in its top trim gets heated mirrors, heated seats, steering-wheel controls and additional gauges. The options list includes plenty of retro appearance equipment-such as a Hurst short-throw shifter, ground effects and special striping. Thank you! I am happy you got lunch from my post! !